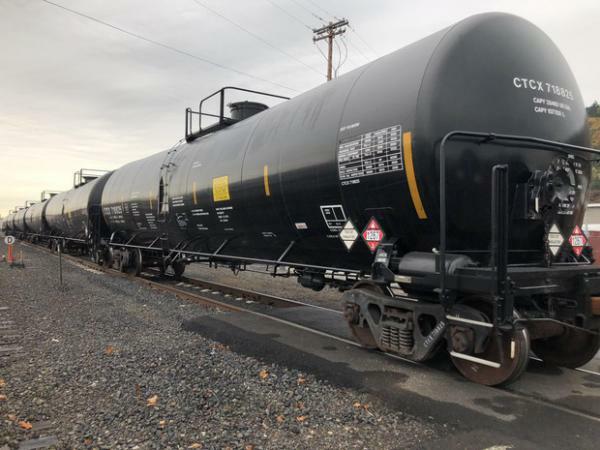 Trains containing petroleum crude oil on a rail line outside of Zenith Terminals, sandwiched between the Willamette River and Forest Park in Portland's northwest industrial district. Construction at the Zenith Terminals site in Northwest Portland in early February, 2019. 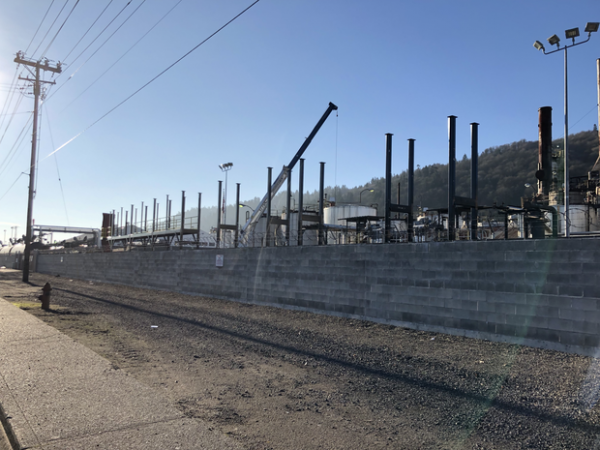 The site’s expansion of crude-by-rail infrastructure comes despite much public resistance in the Northwest for new oil projects. That includes a vote by Portland’s City Council in 2016 to oppose any new fossil fuel infrastructure. That same year the Northwest experienced firsthand one of the oil-train mishaps that have occurred across North America as more and more oil has been moved by what critics have dubbed "rolling pipelines" and "bombs trains." OPB's Amelia Templeton contributed reporting.